The "Mitelman Database of Chromosome Aberrations in Cancer" is the most important collection of cytogenetic data of cancer patients. 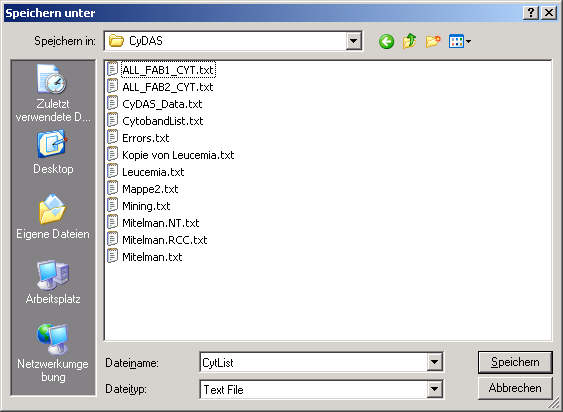 Data retrieved from the Mitelman database can be analysed with the CyDAS programs. 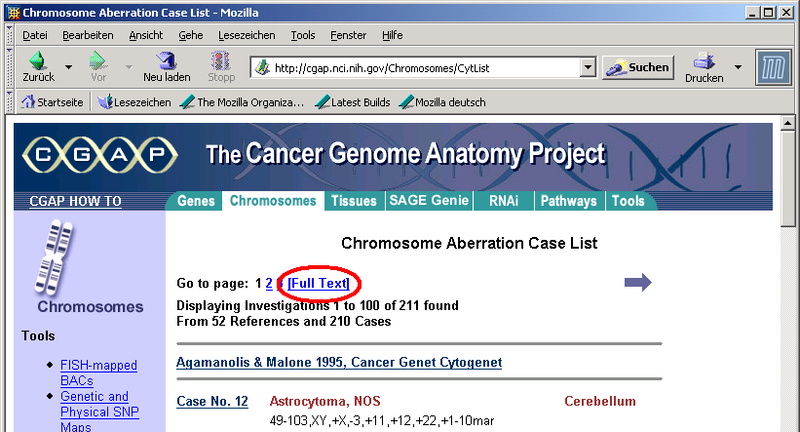 The database can be searched with the "cases quick searcher" located at "http://cgap.nci.nih.gov/Chromosomes/AbnCytSearchForm", or the "cases full searcher" located at "http://cgap.nci.nih.gov/Chromosomes/CytSearchForm", or other methods of searching. Closer information on how to fill the search forms is available at "http://cgap.nci.nih.gov/Chromosomes/Help". The result page contains a link to a plain text file. This link is marked "[Full Text]". ... and save the data to a text file. This file can then be used as an input file for the analysis of large sets of data, e.g. http://www.cydas.org/OnlineAnalysis/WebExample3.aspx.